My attention was recently drawn to this particularly harrowing account of the experience of alcoholics in thrall to high-strength ciders and super lagers. Not content with the usual proposal of rationing these products by price, the author decides to go one step further. There is a more radical solution than trying to increase the price of high strength ciders and lagers and that is to stop producing them altogether. Far from it being a pipedream divorced from financially driven realities, this has happened. One of the most well-known, indeed notorious white ciders was White Lightning, often referred to by those who had experienced its special hallucinatory qualities as ‘white frightening’. Over a decade ago we hosted a visit to one of hostels for senior executives of Heineken which produced White Lightning. Not long after the visit the company reduced the strength of White Lightning and then a few months later stopped producing it altogether. It was a brave move, made without fanfare, for which I remain supremely grateful. There is a precedent, therefore, that other companies can follow and in doing so lives can be saved. How can it possibly be justifiable to continue producing cheap, high strength ciders and lagers for a market dominated almost exclusively by those with the most severe alcohol dependency problems when it is predicted by health experts that almost 63,000 people in England will die over the next five years from liver problems linked to heavy drinking? What he’s talking about is not so much banning them outright, but shaming companies into ceasing to produce them. No doubt Heineken, owners of Bulmers, felt that White Lightning was a product that only made up a tiny proportion of their overall sales, and did their public image no good. However, it doesn’t look as though Aston Manor, producers of the similar Frosty Jack’s, have similar scruples, and I haven’t noticed Carlsberg Special and Tennent’s Super, both made by multinational brewers, disappearing off the shelves. Maybe we need to abandon all attempts to be logical and just ask a panel including Pete Brown and Jancis Robinson to make subjective judgments as to what is for the discerning drinker and what for the antisocial pisshead. In fact, the dividing line between “bad” and “good” is far less straightforward than might be imagined. At the upper end of the premium bottled ale and cider sectors there are several products which, with multibuy offers, can be obtained for around 40p a unit, and whose alcoholic strength must be at least a partial factor in motivating people to buy them in preference to weaker brands. And, even in the “craft” segment, nobody can tell me that the kick given by a 10.5% barrel-aged Imperial stout isn’t part of the reason for choosing it. Indeed, there have been cases where people have over time happily described their craft beer consumption on social media but in effect admitted to being not far off functioning alcoholics. While clearly high-strength lagers and ciders do have a particular appeal to problem drinkers, they also have a strong following amongst more normal consumers of alcohol who just happen to prefer a trade-off between strength and volume a bit higher up the scale. It is less the case now but, in the past, bottled Carlsberg Special was often viewed as a premium product in the same bracket as Holsten Pils. I remember one couple who used to come into a pub I frequent, where the husband drank pints of bitter and his wife half-pint bottles of Carlsberg. Their appeal is often not simply low price, but the fact that they provide a relatively easy means of consuming a lot of alcohol. In fact, particularly in the case of super lagers, they’re often not particularly cheap anyway. 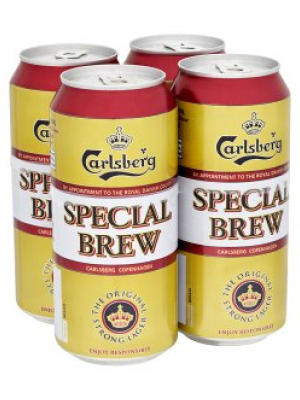 At the widely-suggested 50p per unit minimum price, a 4x440ml pack of Carlsberg Special at 8% ABV would cost £7.04, which is pretty much what it sells for in my local Tesco. The real bangs-per-buck bargains are to be found lower down the scale in multipacks of Carling and Fosters, which sometimes sell for as little as 50p per can, or 28.4p per unit. But drinking a lot of Carling is much more like hard work. ...To tax stimulants for the sole purpose of making them more difficult to be obtained is a measure differing only in degree from their entire prohibition, and would be justifiable only if that were justifiable. There were alcoholics before these products had ever been invented, and even if they could be made to magically disappear, alcoholics would simply find something else to drink. Of course alcoholism is a serious issue that shouldn’t be swept under the carpet. But surely it should be addressed by targeted measures rather than adopting a broad-brush, whole-population approach that brings large numbers of people into the net who aren’t in any sense problem drinkers. One possible effect of removing these products from the shelves would be to sway their target market onto cheap and often illegal, dangerous spirits which are readily available if you know where to look. Be careful what you wish for? When we went on holiday to Sicily last year, we were highly amused to find a number of bars selling Tennents Super as Scottish craft beer. I think it was priced around 8 Euros a can, alongside the more usual craft fare from the likes of Brewdog, Stone etc. There is a bit of a mystique around strong British beers in Italy. There are a couple of bars in Florence that boast of having Charles Wells' Dragoon on tap - it's a 10% barley wine. (I had it, and can confirm that it's pretty poor.) Never seen it in this country in any form. The biggest bang for your buck in the alcohol stakes is cheap sherry, at least it was when I was a teenager. The last time - indeed, I believe the only time - I bought a can of Special Brew it was a quid from the corner shop. 'Normal' cans - e.g. John Smiths, McEwan's Export, Fosters etc. were all 80p I think. Bottled Dragon stout was a bargain at 75p. Big bottle of Nigerian Guinness was the most expensive thing in the shop. May have been £1.30 or something. This brings back memories. Anyway, the point is that I think there is now a greater price differential between 'super strength' and standard strength mainstream off-trade products than there was in the mid-1990s, the last time I was likely to purchase either. The off-trade beer market has become more fragmented, so it's harder to make direct comparisons. As I said above, the serious super lager drinker will be buying them in independent corner shops rather than Tesco. One that I sometimes visit sells 4x500ml cans of premium lagers such as Heineken and San Miguel for £4.49, which at 5% is 45p per unit. 4x500ml cans of Special Brew or Tennents Super are £6, which at 8% is 37.5p per unit. If you accept that the White Frightening doesn't create alcoholics but ends up the last refuge of people that have been on a long decline of losing everything then what is the difference in morality between a product that is abused by alcoholics and one that creates them ? I don't buy the argument that white cider is drunk by regular people. It's a product for alcoholics. If it's immoral to sell White Lighting to alcoholics then it must by equal measure be immoral to sell a 10% barrel aged imperial stout. 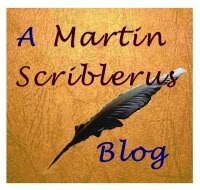 I follow plenty of bloggers on twitter. Many appear to cane it every night & moan about hangovers every morning. That must be affecting other parts of their lives. Relationships & career prospects. It's the first act of Days of Wine & Roses. Later acts of then film are not pretty. Not all are going that way but I've got my own guesses as to who will. If it's a moral issue then those wanting white cider removed cannot draw a line and claim other products are not culpable to the social problem. Alcoholics start off as prosperous people drinking the same booze as the rest of us. The decline occurs over many years. As far as I can see white cider is a horrendous product justifiable only as the lesser of possible evils. The other substances alcoholics would use are far worse. If we are removing them, how we going to improve the help we give to alcoholics to keep them off the turps & meths? If this is a moral question then that requires an answer. Most of those that want white frightening removed don't want to help alkies. They just want the problem to disappear from their field of vision. That's easier when the corner shop isn't selling tramp juice. We've had this discussion before, and, yes, it is hard to see any redeeming features in white cider. But most alcoholic drinks aren't designed to be sipped by connoisseurs, and where do you draw the line? Is Glen's vodka or Crofters cider really that much better? Don't forget that the first white ciders were conceived as lighter, more subtly flavoured products aimed at women. And there are several premium ciders such as Aspall which are very pale in colour and lacking in tannins, so have some of the characteristics of white cider. They were marketed as such initially but they were conceived as a use for industrial alcohol. The spent apples used to go into pig feed. Then someone worked out enzymes could break the remaining starches down further & be fermented out again as a base for distilled industrial alcohol. Alcohols being great for cleaning engine parts. Then someone worked out as it came from apples it was legally cider & fit for human consumption despite not being actual apple juice but pulped apple fibres. As the "cider" was lacking any cider colour or cider or apple flavour it was called "white" cider & at the first attempt sold as a lasses drink. Lasses being not that stupid it found its place as tramp juice. But that's beside the point. This topic does the rounds every so often and I get why you would seek to defend it. The smoking template was a series of small prohibitions & the impending alcohol ban will be too. So you don't want to consed this one. I just think the argument that tramp juice is drank by respectable people a poor one that'll lose. The only defence is a lesser of available evils argument & to put the moral question back to the prohibitionists to ask for a more effective way to help the alkies. Just my two cents (being Canadian, otherwise it would be my 2p) if there is a market for it, and it's not illegal, who cares? Why market vehicles that can go faster than the highest speed limit in the country? I checked today in my local Tesco, and 4x440ml cans of Carlsberg Special were in fact £7.60, or 54p per unit. So much for minimum pricing!